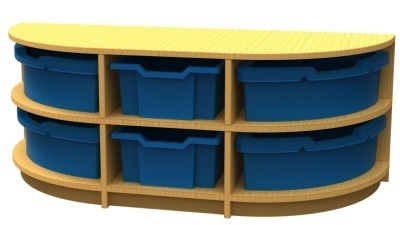 D style storage standalone tray storage arrangement. 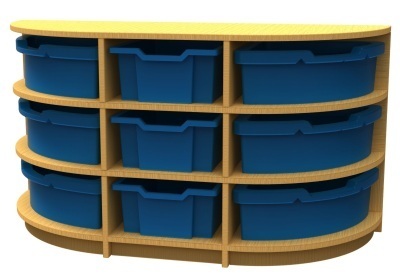 Constructed from 18mm thick MFC finished in beech, complete with trays in a choice of Blue, Green, Red or White. Available in three height options to house one, two or three trays. Left and right-hand options.Perfect for study spaces this versatile unit can be used as a breakout meeting space, storage and seating area. Cushions are available as an optional extra. Holds up to 9 heavy duty trays. Delivered free and fully assembled to mainland UK. Lead time 15-20 working days.